Hope you all had a fabulous Christmas, Hanukkah, Boxing Day, Kwanzaa, Festivus ...! 'Tis the season to think of others and give thanks, and today we have lots of thanks to give, Big Yelps, to those who have taken the time to write such generous reviews for cakelava on Yelp. You know San Francisco based Yelp. Real People. Real Reviews. This is the real deal. People who, out of the kindness of the hearts, (or sometimes out of spite) write the kind of reviews that can either make you look REALLY good or not-so-good. As a business, Yelp reviews are helpful. They tell you what you are doing right and what can be improved upon. 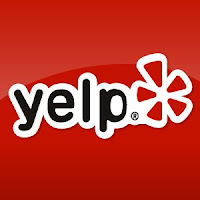 In our Yelp reviews, we recognize the name of each person who has reviewed us and also noticed at least a couple reviews which have been removed by Yelp, who thought they weren't "real" customers, even though they were. Our client Rachel comes to mind -- sorry Rachel! When we consider that our cake studio which has a storefront but is By Appointment Only, and we don't sell any baked goods aside from custom cakes, we don't expect to be Yelped too frequently. It's not like someone will walk into our shop, buy a cupcake or pastry and write a review on Yelp. The reviews we have received we cherish because they all came from people we have worked with over months, some on numerous occasions, and they wanted to share their experience with others. A couple have told us they posted a review on Yelp shortly after, but most have not. They take the time to mention the impact the cakes had on their party, and the level of service we offer as well as the taste of the cake. Some are wedding clients, and some birthday clients, and one, Margaret D. is not a client, but rather a novelist who interviewed Rick for an upcoming novel she is writing, and decided to Yelp about us. It was a total surprise and we were touched by the gesture, as we were with the other reviewers. Now that we're back and starting to catch our breath, we've had some time to reflect on our experience at the Food Network Challenge which we filmed last week. Many of you have been asking how everything went, how Rick and Annie fared, and what the Challenge topic was. We're not at liberty to discuss any details of the Challenge until it airs, nor would we want to ruin the surprise of what is sure to be a great episode! As of now, it's looking like a Spring air date. In a word, the experience was AMAZING! All the preparations and travelling and meeting of the producers, competitors, crew and judges was an unforgettable experience. Rick and his assistant Annie competed against Challenge veterans, which you will no doubt recognize as soon as the show airs, and for first timers, "newbies" as they are called, they held their own beautifully! As someone who watched it all unfold, you'd never know Rick was new at Challenge. Their Challenge was part of a new season, complete with a spanking new BEAUTIFUL set that blew us away the first time we saw it. This set means business and we can only imagine how incredible it will look on TV! Everyone treated Rick and Annie with respect and they felt the support as soon as they walked into their kitchen. Rick had a grueling work schedule while away, between the set-up and competition, and interviews with the producers, it was pretty exhausting, but inspiring at the same time, and the adrenaline took over from the get-go. Challenge is of course a food competition and in this case a cake competition, but what truly made it an experience we will never forget was the people we met. We were already "fans" of our Producers before we even arrived as we've had regular contact with them for what seemed like ages, and to finally meet them was such a treat. Meeting Keegan Gerhard, Kerry Vincent, and other new people associated with the show was fantastic! Keegan is very insightful and kind and it was a pleasure to meet him. Rick said that suddenly having Kerry Vincent watching and judging his work after seeing her on TV all these years was a surreal experience. Kerry Vincent impressed Rick and he was happy to be "judged" by her. Probably not the reaction you were expecting. He said she is a woman that commands respect when she walks into a room and really knows her stuff, so he wasn't scared and felt honored to have met her. 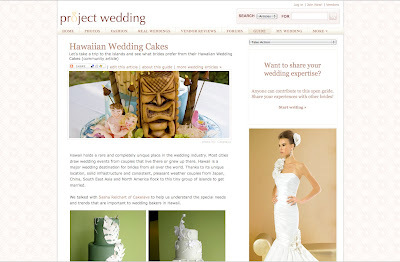 We were approached by Project Wedding a while back to contribute to an article on Hawaiian Wedding Cakes. 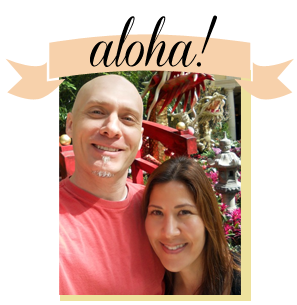 I was asked to comment on how wedding cakes in Hawaii differs from other regions and to give advice to brides looking to have their wedding cake made in Hawaii. 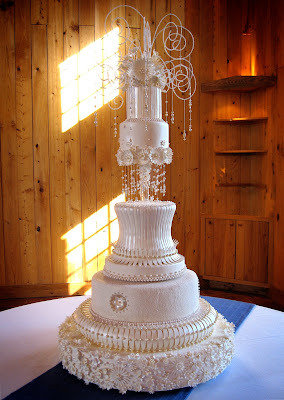 It's an informative article and many of our cake photos were used. 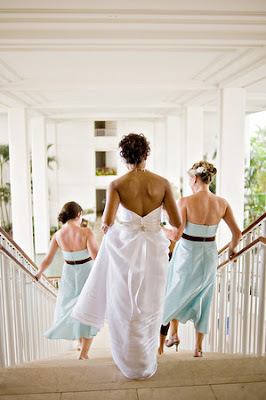 We would like to thank Project Wedding as well as the photographers for their beautiful images. 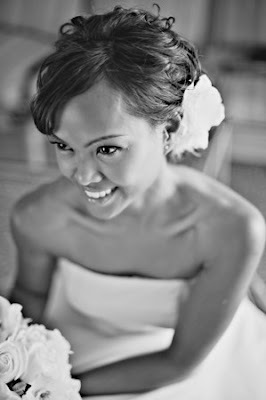 Chrissy Lambert Photography, Bianca Photography and Blufotografica. 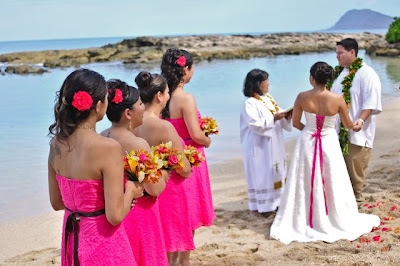 Hopefully this article will help destination brides planning their Hawaiian wedding! We are back from our first Food Network Challenge and are looking forward to getting back into the swing of things here. We can't divulge any specific details about the Challenge but can say it was an amazing experience and we hope to do more in the future. For clients trying to reach us, we ask for your patience as we catch up on emails and calls. It's a good thing Rick likes making the Hello Kitty cakes because we sure get a lot of requests for them. 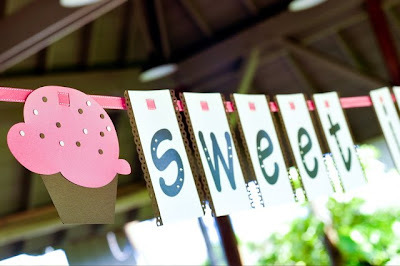 We've found the interest in Hello Kitty spans all ages and ethnicities and isn't limited to just birthdays. 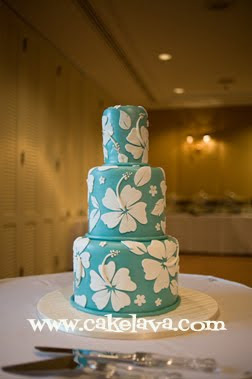 Last year Rick made a Hello Kitty themed wedding cake, that sat next to a Miami Dolphins football helmet groom's cake. What a fun couple! Just recently Rick sculpted a super adorable Hello Kitty doll cake for Lyn's 26th birthday party. Lyn ordered the birthday cake for herself, which we thought was just great, and she was a lot of fun to work with. 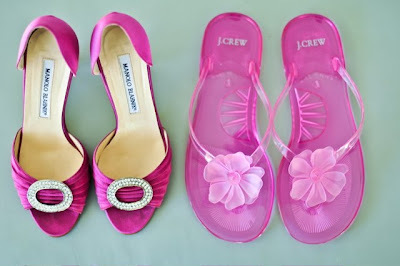 She specified colors (black and hot pink) and the color of the bow on her left ear. She chose her flavor, Strawberries Chantilly, which she would share with her friends and co-workers of the restaurant she managed, where the cake was also delivered. Rick sculpted his Hello Kitty completely out of cake, which is a difficult task considering how large her head is, but that is also what makes Hello Kitty so darn cute! No rice cereal treats or styrofoam was used. I'm glad we weren't there to witness the decapitation of the cute little kitty as Lyn cut into her birthday cake. I'd probably have to look away. 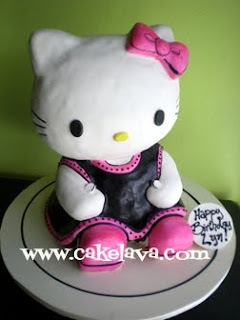 For more Hello Kitty and other character cakes check out cakelava.com. 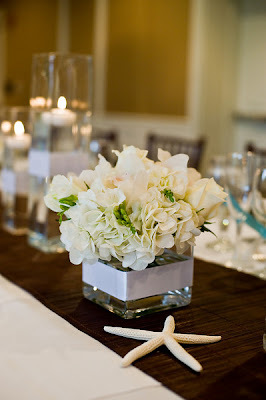 All other images courtesy of Mike Pham Photography. 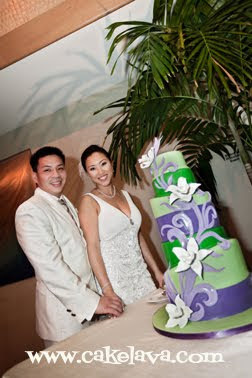 Yun and Jon's unusually shaped wedding cake in shades of greens, purple and white, was a collaborative effort between the couple and Rick. They had a vision of their wedding being modern, tropical, and "green" and wanted the cake to have a whimsical element to it. 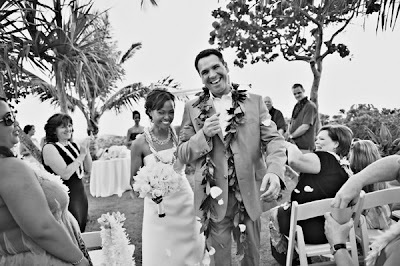 From the beginning, they planned an ecofriendly wedding, with flowers that would last as long as possible and have recyclable decorations. 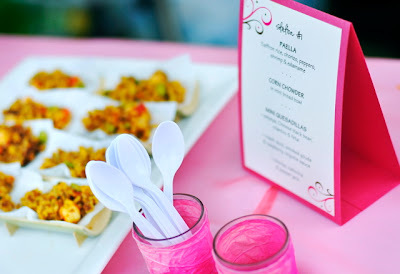 Their favors were Organic Dark Chocolate Bug Bites, which are gluten free, vegan and kosher and purchased from a company who donates a percentage of profits to help support endangered species. Yun also mentioned to us that she was planning on naming their tables after an endangered species and hoping to donate a percentage of their cash gifts to the World Wildlife Federation or the Humane Society. Congratulations to Yun and Jon! 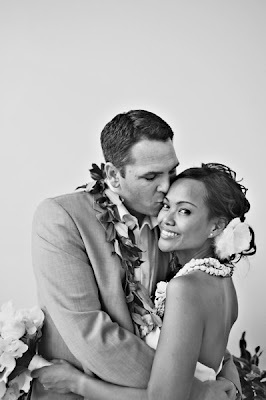 We wish this beautiful, gracious couple the very best in their new life together! 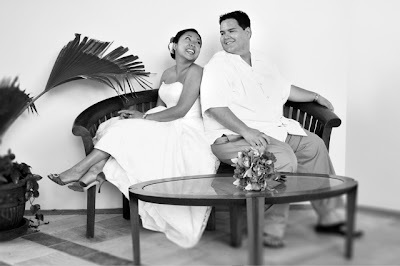 We just adore our couples and always welcome the opportunity to showcase a beautiful bride and her groom on our blog. 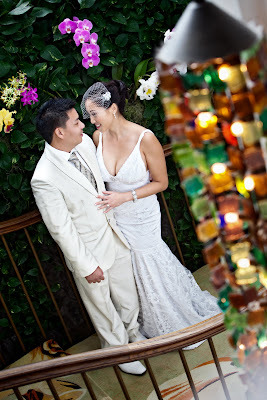 Both our bride Irene and her photographer Christie Pham reached out to us after the wedding to share their images with us and we were so glad they did. 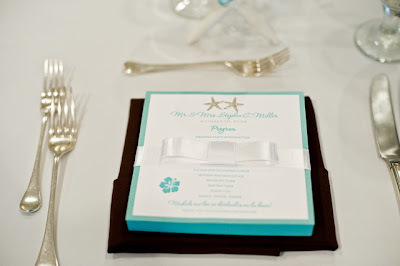 When the images are this pretty and the components are meticulously planned out and matching, it makes for one lovely wedding! 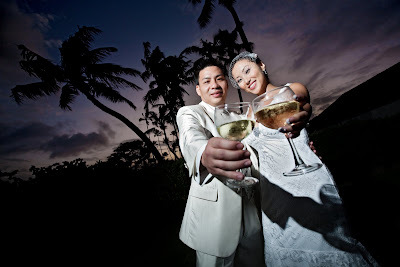 Irene and Steve were married at the gorgeous JW Marriott Ihilani resort on the west side of Oahu. 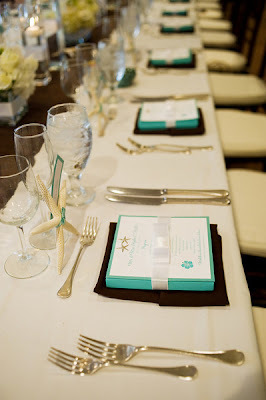 They had a beach themed Hawaiian wedding and their colors were Tiffany blue, white and chocolate brown. 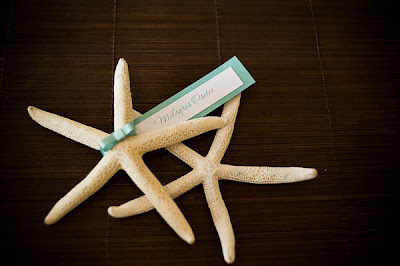 Although starfish were a prominent motif in the wedding, Irene and Steve went with a striking tropical floral for their wedding cake and chose our signature hibiscus in Tiffany blue and white. 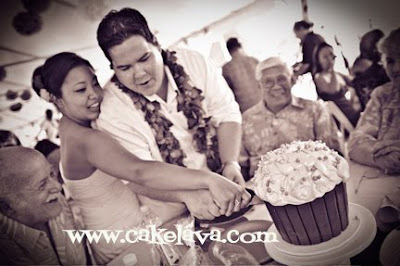 All the details of their wedding came together beautifully with the help of an amazing group of vendors including Alia Kennedy of Parasol Events for event design and coordination, Yvonne Design for floral design, JW Marriott Ihilani Resort for the location, Christie Pham for Photography, Dorys Foltin of Maleana Cosmetics for styling, Showtime DJ's, and cakelava for their cake. Congratulations to Irene and Steve! In the past month we've been seeing a lot in the news about Sesame Street's 40th Anniversary. Very few television shows have had the educational impact on children that Sesame Street has. It is entertaining, timeless, and the adorable, furry characters are as loved today as they were decades ago. One of our favorite Sesame Street characters growing up was Cookie Monster. What could be cuter than a furry blue monster who's life revolves around cookies! Remember his famous "C is for Cookie" song? I'm attaching it below for your reminiscing pleasure. The song has a cult following and I've heard it on numerous radio stations over the years. In the cake world, Sesame Street themed cakes are well-requested and we get our share of them. They are so much fun to make and always bring a goofy smile to our face. This Cookie Monster birthday cake made for Evan was super cute in person and the family practically shrieked when we delivered it to their outdoor party. It was a huge hit to say the least! 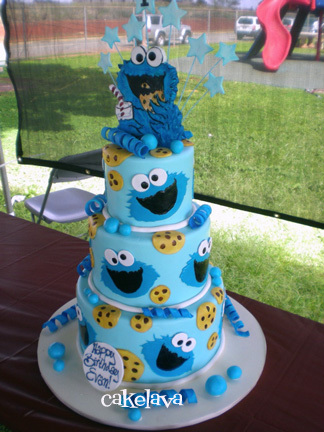 Rick designed Evan's cake with the face of Cookie Monster and his cookies all over it. It was completely adorable and I would have loved to have one as cute when I was a kid. Instead my Sesame Street birthday cake was ordered from a local bakery who piled the insanely sweet shortening buttercream frosting on top of straws supporting each of the characters which were then placed across the cake. I had to keep pulling straws out of my Big Bird character, who then turned into a pile of frosting fluff with eyeballs and a beak. On the other hand, Evan's Cookie Monster cake was classy and gourmet flavored and probably the envy of all the kids on the block. Happy Birthday Evan! After our interview with Marina Sousa of Just Cake, we wanted to revisit our previous interviews in the series, in case you missed any of them. Looking back it's been a privelege to have had the chance to talk to such a talented group of individuals within the cake community. We didn't know when I conducted my first interview, with Jen from Cake Wrecks that she would become such a well-known blogger and humorist. 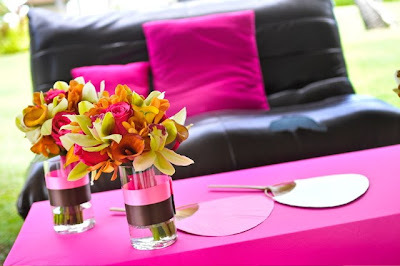 I had so much fun interviewing Jen that I then approached one of our favorite cake designers, Beryl Ann Byrd of Just Fabulous Pastries who was just as fabulous to interview as Jen! Next to be interviewed was Rebecca Sutterby of Sugar Creations, followed by The Great White Snark, Joan Spitler of Cake Divas, who Rick used to work with, Elisa Strauss of Confetti Cakes, and most recently, Marina Sousa of Just Cake. It was fascinating to learn how each person became an expert in their craft. Along the way Rick and I developed an even greater respect for the people we have long admired as some of our favorite cake designers or bloggers. We have assembled the links to each of our interviews below. Whether you are looking for entertainment, inspiration, or humor, these interviews are a great resource to indulge in and to share. Enjoy! Marina Challenges herself, teaches at Cake Camp and reveals some of her "favorites". Part 2 of our interview. To read Part 1, of our interview, click here. Sasha Reichart: Moving from the Oprah television appearance to another one. Let's talk about the Food Network Challenges you've done. How many have you been in, which ones, and how did you fare? There was also, Haunted Gingerbread where I assisted Dawn, which resulted in a Gold medal too! Sasha Reichart: I'll say you've done well! What was your favorite, or most memorable cake challenge? Least favorite or most difficult? MS: Each one has had their ups and downs! Honestly though one of the most memorable was the one I didn't win. It was so remarkable to me how everyone came together after I collapsed. Dawn totally stepped up and was a complete rock star to finish the cake without me! I felt SO bad! The construction part was my deal and she was left to do it. They let her in the back of the ambulance right before we drove off and I was trying to give her as much information as I could. We talked a couple of times via cell phone from the hospital - it was crazy! The fact that Jason Ellis an Joshua John stepped up and helped Dawn finish the cake was so extraordinary. I was so touched and so proud to be associated with such a great group of people. SR: What an experience that must have been for you! Luckily you had the right support system to help you through it. Rick (Reichart) recently accepted a Food Network Challenge as a Competitor. What advice can you give him, or other cake designers who are considering making the trek out to compete? MS: I just can't stress enough how much work it is! (and how expensive it is) That's not a deterrent -- just a heads up. You absolutely need to be prepared. I really think a good 80% of the work is just in getting there -- the eight hours on the clock is the downhill stretch. Stick to your strengths. Challenge isn't the place to try out a new technique. Commit to a design and go with it but have plans b, c, & d in your back pocket because you never know what will happen. I have never finished a Challenge getting everything on the cake that I had wanted to. Designing an amazing cake is one thing. Doing it in 8 hours, surrounded by production teams and cameras in your face being asked questions constantly is a different thing entirely. Two very different skill sets. Some of us obviously thrive on the chaos, others crumble. Both make for good TV and just know that's exactly what you are signing up for - TV. Anything goes. SR: This is good advice! 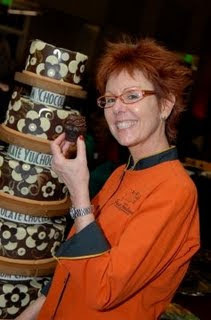 Any plans for you, or Dawn, another cake designer at Just Cake to compete in any future challenges? You two are a great team! SR: How far in advance do you begin preparations for challenges? Does Just Cake close during the competitions? MS: I start to prepare the moment I accept! How much time that actually translates to has been different for every Challenge. The first one I did I think I had almost 4 months notice -- once I had 2 weeks. It really varies based on the production circumstances. I don't really "close". 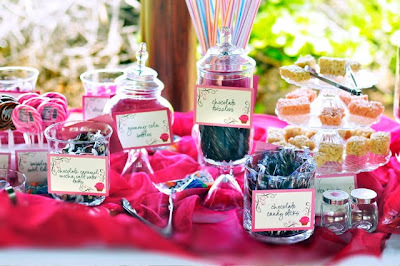 The competitions that have come with the shortest notice are typically the ones where I've had the most cakes booked. The worst was for the Miley Cyrus competition. In addition to the competition I had also agreed to be the demonstrator at the Oklahoma Sugar Arts Show that year. Dawn and I did 6 wedding cakes, prepped for 4 demos and a two day hands on class, flew to Oklahoma for 5 days .. flew back to California and in 36 hours did 8 wedding cakes and packed for the competition and headed to Disneyland. It was the craziest thing we had ever done. Still not sure how we survived it! Danielle (my baker) had just had a baby 6 weeks before but she came back to fill in those couple weeks - without her we couldn't have pulled it off. The things we do for cake! SR: That is pure insanity! Yes, the things we do for cake... Aside from the amazing cakes and television appearances, another area you have involved yourself with is cake classes all over the country including "Cake Camp." When did you start teaching these classes and what has been your experience so far? MS: "Cake Camp" was really only my second teaching endeavor. The first was the hands on class we taught at the OSSAS and we had such a great experience I decided to give it another try. "Cake Camp" was this last September in Las Vegas and was really a lot of fun. I am planning on teaching more in the coming year -- we'll see how it balances out with my cakes. SR: If someone is interested in taking one of your classes, where would they find you next? MS: I finally have a page up on classes on my website that I promise to update regularly! 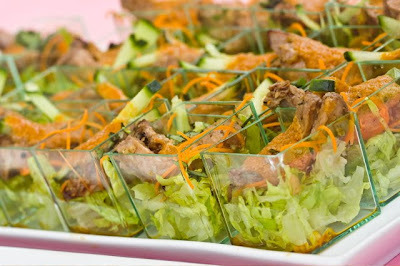 I am offering private classes in my kitchen in California. 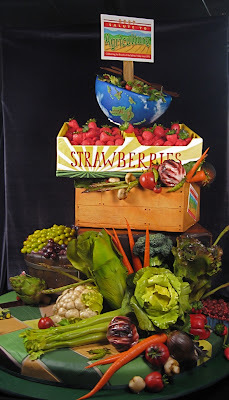 Additionally, in 2010 I will be teaching at the National Capital Area Cake Show , and James Roselle and I will be doing the Cake Cruise to Alaska. I'm setting up a few other dates that will be posted on my site soon. 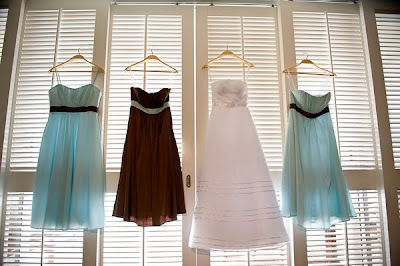 SR: Based on your meetings with brides, have you noticed trends in colors or themes that has translated to your designs? 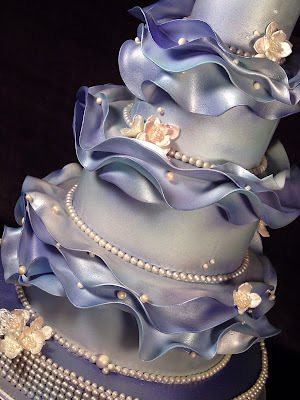 What would you say are the hot trends of the moment in cake design? MS: Seriously, one of my least favorite questions! 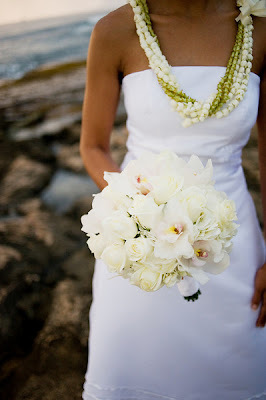 I had dinner with Marla McBride, Wedding Style Director for Brides Magazine, after a competition in Beaver Creek, Colorado a few years ago and someone asked her a question about trends. She laughed and said something to the effect, "If only people knew we were just making it up as we go along." That pretty much sums up how I feel about trends! 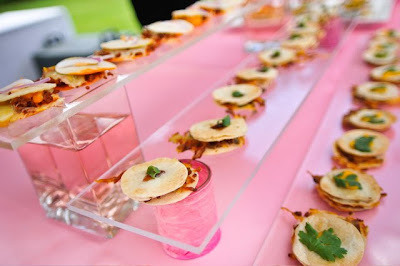 As far as cake stands go my typical answer is "whatever is on the cover of Martha Stewart Weddings'! 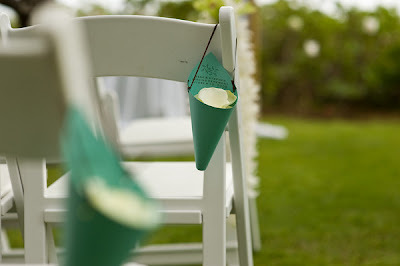 SR: We agree about the personalization trend and gathering inspiration from the couple and their event details. I have a question about a cake in your portfolio. Rick and I are both extremely impressed with your cake of the stacked up produce "2007 Salute to Agriculture." Can you describe the making of that cake? Is all the produce handcrafted? It's incredible! 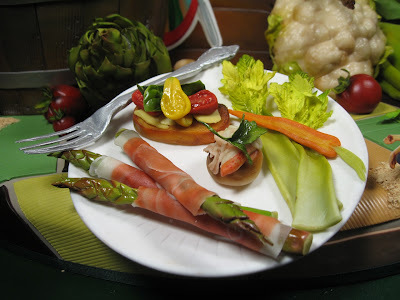 MS: It's all completely edible and handcrafted. This was for a local agricultural organization -- they had seen the "Food Network Awards" cake challenge and contacted me as a result. 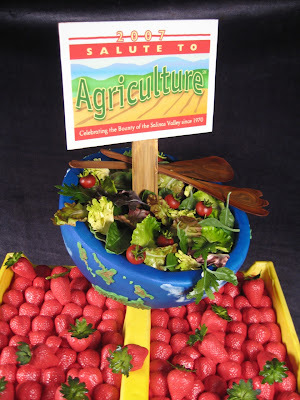 The Monterey Bay Area is known as "the world's salad bowl" ... which is where the design inspiration came from. I think this project really highlights the combination of my strengths and Dawn's. I'm much more the "big picture" overall concept designer. Dawn specializes in detail. I always joke and say she spends hours on the little things that make me want to poke my eyes out! It's really perfect though because it allows me to create an amazing framework to highlight all the amazing and intricate detail she is capable of creating. The plates of food were crazy realistic -- we had a really good time creating this cake. The one thing that totally blew even me away was the "salad greens" in the globe bowl ("the world's salad bowl - get it? :-) I swear to you they were all made from gumpaste -- it was incredible. SR: We're completely blown away! This is always a difficult question when I ask it. What are your top 3 favorite cakes you've made? MS: "Keegan and Lisa's Wedding cake"
This was the first cake I designed with the handmade sugar beads ... one of the things that has become somwhat of a signature for me. I love making cakes but the ones I love most are those I make for people I love. 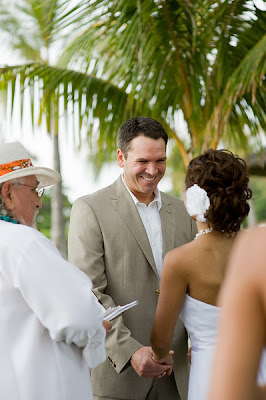 Keegan Gerhard (host of FN Challenge) and Lisa Baily are dear friends and to be included in their wedding was such an honor. 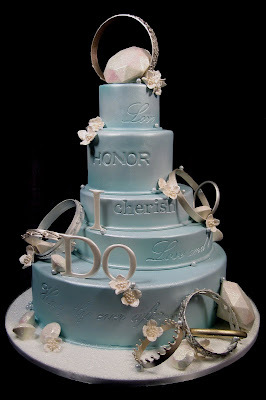 I loved everything about the wedding and the cake! I designed this shortly after the "Engagement Cake" competition. I was really most disappointed that I wasn't able to see the design of that cake through to the end given the circumstances. There were so many elements that just didn't make it onto the cake. This cake has a lot of those elements. Design to me is an evolutionary process... I like to revisit design concepts until I am happy enough with the end result to move onto something else. This cake is a great example of that. 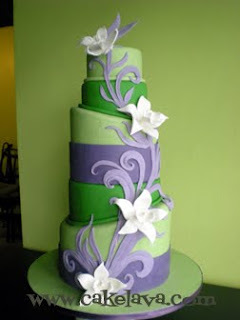 SR: Who are your top 5 cake designers or people you draw inspiration from in your field? What Mike does with structure is insanity and he has inspired me to take risks I would have otherwise never taken. His attention to detail and down right perfection are something I will always strive for. I love her style. Most designers I know became designers as a result of her books and her work. I really believe she single handedly inspired a generation of designers. Include me among them. Elisa and I did our first Challenge together and became fast friends. I totally adore her design aesthetic and her approach to business. Whenever I'm in doubt she's one of the first people I call. 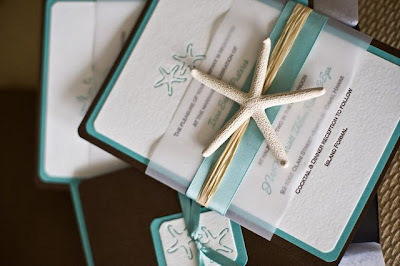 I think her ability to come up with designs on a quarterly basis year after year is amazing! 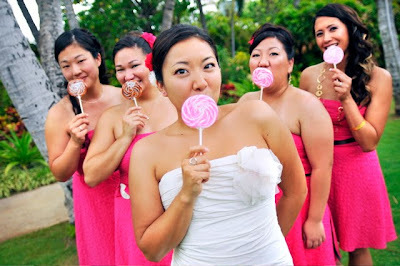 She's the unsung hero of Martha Stewart Weddings as far as I'm concerned! Her designs are so accesible and constantly inspire my clients. I'd love to meet her someday! SR: This is an amazing list! Elisa is a wonderful human being and we completely agree about her design aesthetic. You can include Rick's name to the list of designers Colette has inspired. We adore her as well. Onto blogs! Do you enjoy reading blogs? If so, which ones are your favorite? MS: I don't read too many! I'm just not in the habit. 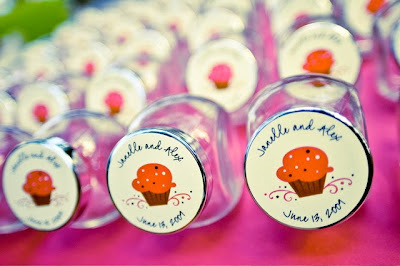 I read "Cake Sky" and "Cupcakes Take the Cake" when I can though. I do try and keep up with friend's blogs ... I check in on yours as often as I remember to! And also Elisa's (Confetti Cakes). Honestly, I've become more of a Facebook person (much to my own dismay!) and if people post their blog entries on Facebook I'm much more likely to read them! I've opted for a Facebook "page" for Just Cake as opposed to a blog myself ... seems like so much work to keep a blog current. I barely have time to get my cakes done most weeks. More power to you! SR: I can totally relate about the time factor. I've committed myself to the blog because I love to write and people seem to enjoy having it there, but it is a serious time commitment and there is so much else to do, workwise. Facebook is definitely a one-stop shop in terms of updates and information exchange. Let's talk about life other than cake. When you aren't making beautiful cakes, what do you like to do in your spare time? MS: I love to travel, spend time with friends and family -- especially my new niece Nora! I love going to the movies, hanging out at the beach ... and I'm a big fan of "spa days"! SR: What's next for Just Cake? MS: Good question! I'm sure I'll keep making cakes ... I hope to teach a bit more in the coming year and see how that meshes with my cake schedule. SR: I was on your website recently and noticed a section "My Biggest Cheerleader", which is the most touching tribute to your mother, who passed away last year. Marina, I have to say that what you wrote was some of the most affecting words I've seen on a website in quite some time. Rick and I salute your courage and generosity in sharing this tribute with the rest of your "fans". I know it's been a tremendously difficult year for you, and Rick and I both thank you for taking this time to talk with us. We have no doubt we'll be seeing a lot more of you and Just Cake in the years to come! MS: Thank you so much. My Mom was such a huge part of my business and obviously my life. The loss is astounding and grief is such an indescribable experience. I miss her every day. In the midst of the tears I really try and focus on how fortunate I was to have had such a generous presence in my life who relentlessly encouraged me to follow my every passion. If it wasn't for her there is no way in the world I would be doing what I am today. I realize that kind of unconditional love and support are rare and I am so grateful to have had her as my mom. SR: Your mom sounds like an amazing woman who had a tremendous influence on you, and hearing you talk about how much you appreciated her is very touching. We can't thank you enough for all you've shared during the interview. We can't wait to see what's next for Just Cake! 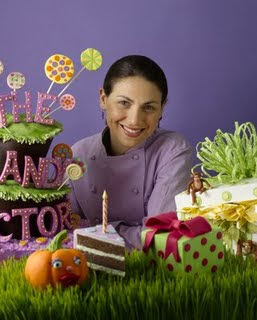 Marina Sousa of Just Cake based in Capitola, California, was my 7th interviewee in our Interviews from Cakeland series. Rick and I knew when we began our series that Marina would be interviewed. 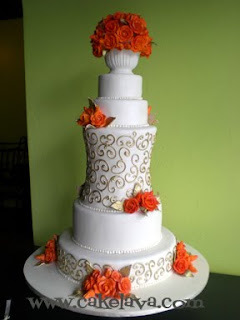 She is unquestionably one of the top cake designers working today and we have one of those six degrees of separation type connections to Marina. Marina and Rick at one point in their career both worked for Elin Katz at Rosebud Cakes in Beverly Hills. My interview was arranged with Marina over a year ago, shortly before her mother passed away and we decided it would be best to postpone it so she could focus on personal matters. When we were ready to resume the interview, Marina had just completed one of the most amazing experiences of her career -- a cake challenge and appearance on The Oprah Winfrey Show! Add this to her long list of career accomplishments, which include among other things, a Food Network Challenge "resume" which boasts 4 Gold medals as a competitor, a judge on the "Cartoon Cakes" Challenge and an assistant to Just Cake's Dawn Nemec on the "Haunted Gingerbread" Challenge also resulting in a Gold medal. 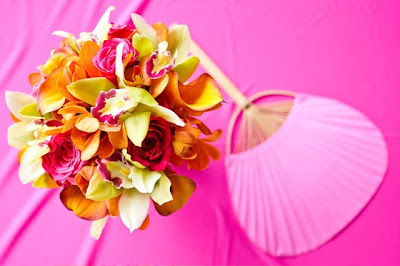 Marina's exquisite designs have appeared in numerous national publications, including Bride's, The Knot, American Cake Decorating, Instyle Weddings and many others, and she was also a participant in NYC's Cakewalk at Grand Central Station. Marina is a Superstar, no question about it, and not just because she is so skilled in her craft. She is a warm, generous person who wants nothing but to bring out the best in others. Since we started cakelava, Marina has regularly checked in with us to encourage Rick and lend her support of his endeavors. She has been a mentor to many up and coming designers both within her company and in the classes she has started teaching, and she gives a FANTASTIC interview! Rick and I are excited, and honored, to share this spectacular, wonderful talent of an artist that is Marina Sousa! Sasha Reichart: I read that you grew up on the Central Coast of California and then moved to Los Angeles. What brought you to L.A.? 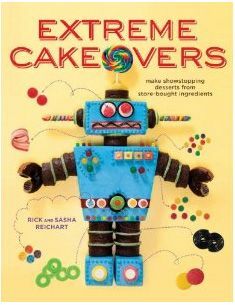 Sasha Reichart: How did your career in cake design begin and at what point did you know that you wanted to open your own business? Marina Sousa: I really fell into cake design- it was never on my list of things to do! I took one Wilton class when I was in the 5th grade and got pretty good at doing those star tip cakes. Perfected the 3D teddy bear but honestly that’s where it ended! I had been working in the entertainment industry and left a job I was unhappy with. I was trying to figure out what my next move was going to be. The best way I know to describe what happened next is that a twist of fate landed me on the doorstep of Rosebud Cakes in Beverly Hills. The rest is history! I knew within months of starting there that I wanted to open my own business someday. I stayed there for two years before I decided to go to culinary school (CIA in Napa Valley). Because of the way I back ended into the business I felt like I needed some sort of culinary foundation knowing that baking is much more of a science than cooking is. I like to cook but I’m the kind of cook that never makes something the same way twice! Not the best quality in a baker! SR: Tell us about the opening of your business. What year did you open Just Cake? MS: I opened Just Cake in January of 2003. After I graduated from CIA I went back to LA with every intention of starting my business there. I lasted about a week before the traffic alone made me want to jump out of my skin! I decided to go home for the summer and stay with my grandmother who had just had knee replacement surgery. Summer turned into Fall and I still didn’t know what I wanted to do. My Mom encouraged me to make a few display cakes just to see what type of response I’d get. I really wasn’t convinced that there was a market for high-end cakes in the area. I reluctantly agreed and started my business from the kitchen of my old catholic elementary school. I did seven display cakes, took them to a bridal show and had 37 phone calls the next day. SR: Parents are wonderfully encouraging in that way. It sounds like the area was just waiting for a talent like you to come along. With a name like “Just Cake” the assumption is you do not offer any other type of pastries. Is this true and has it always been that way? MS: Yep… just cake! I do make cupcakes and cookies as favors but otherwise it’s literally just cake. That’s one of the reasons why I named the business “Just Cake” but the main reason was a reaction to my experiences in Beverly Hills. I can’t even count the number of times brides and their mothers or future mother in laws would come in to choose a cake and end up leaving in a huff! I once had a mother once walk back in after a consultation and try and give me a hundred dollar bill to do the cake she wanted as opposed to the one her daughter had just insisted upon. Day after day I remember sitting there with these people not understanding how they could manage to turn something as happy as cake into something to fight about? I’d be thinking to myself “it’s just cake people!” So “Just Cake” is really more than a name to me, it’s a mantra. SR: That is fantastic, and hilarious! Rick has mentioned the same thing about the mothers of the brides in Beverly Hills. Did you find that your experiences in visual merchandising and the entertainment industry gave you an artistic advantage when designing cakes? MS: Definitely! I feel like I have a whole different set of tools to bring to the table. What we do is art – and for every art form there are specific tools and techniques that are associated with it. I love to find ways to transfer those techniques and tools to cake. I also find it really valuable to be able to look at a project through different perspectives. My path was not a straight one, but I honestly can’t imagine getting to where I am today any other way. SR: We couldn't agree more. I noticed you work in both buttercream and fondant icings. Do you have a preference of one over the other? MS: Not really. I probably do more buttercream cakes simply because people tend to prefer the taste. I honestly don’t have a preference. They both have their place. I think it’s important as a designer to be able to do both well. SR: Absolutely! Why limit yourself, or your clients, to one type of icing. 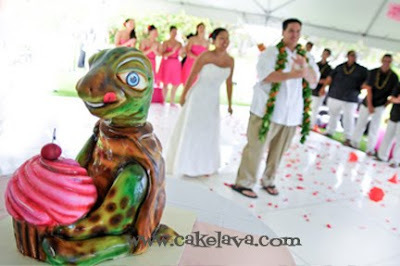 What is the most unusual cake request, either wedding or celebration, that you’ve ever received? MS: I finally have an answer to this question!!! It’s one I’m always asked and I’ve never had a great answer! This last July a friend got married and her fiancé asked me to make his grooms cake. Apparently his father had long told the children of the family about a creature that resided in the backyards of homes in New Orleans that came out after dusk – the “bull-a-gator”. It was one of those stories that had been passed down over the years to keep the kids out of the swamplands after dark and was now family lore. He asked me to make one as his groom’s cake – the only thing was that no one had ever seen the fabled “bull-a-gator”… so we got to make it up! It ended up being the body of an alligator, with the typical elongated snout that was blunted by a typical bulls nose with a gold ring through it. We replaced the feet with bull’s feet and added horns. Completely strange and random but it meant the world to his family, which is always the desired result of any design. SR: A "bull-a-gator." I would love to see that. This is strictly just an observation, and I could be completely wrong but I noticed that more than half of your flavors involve chocolate. *smile* Are you a chocoholic? 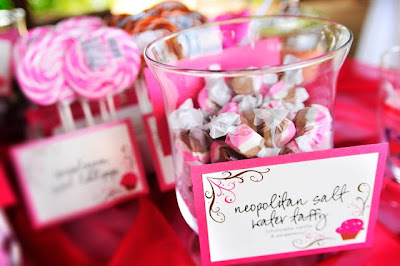 What is your most popular flavor? As far as popularity goes… red velvet is still a big hit as well as the meyer lemon with lemon mousse and olliaberry. In the chocolate category, the mint cookies and cream filling with chocolate ganache is always a winner. We end up making all our flavors all the time though, it always boils down to personal preference. SR: Let’s discuss something everyone is dying to know about – Oprah! Tell us about your recent appearance on The Oprah Show. When they called you, did you scream or drop the phone, forget to breathe, anything like that? 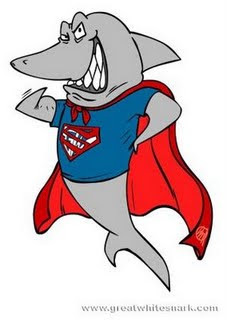 MS: It was late on a Thursday afternoon and I had just run out to pick up some lunch and had left my cell phone at the kitchen, which I am never without… I got back to find 14 missed phone calls! Initially the call was simply – “are you interested, and do you think you can manage to be in Chicago a week from today with the best cake you’ve ever made in your entire life”. Ummm… sure? How do you say no to Oprah??? They called back within 24 hours to let me know it was a go. I was delivering the first two of my 10 cakes for the week when she called so I didn’t have tons of time to react. I immediately went into “how the hell am I going to pull this off mode”. SR: No kidding, how can you say no to Oprah? Knowing the television industry, I’m guessing they didn’t give you much notice. Is this something you can share with us? 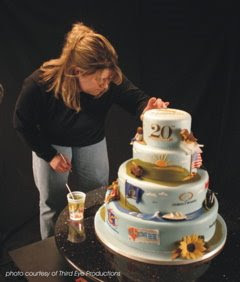 How much time did you have to work on the concept and design the cake before having to fly off to Chicago? MS: I got confirmation late Friday afternoon and was on a plane to Chicago Wednesday morning. I had to spend all of Saturday delivering the rest of my cakes so literally had just 3 full days- Sunday, Monday and Tuesday to pull it together before we were off to Chicago. SR: Oh my goodness, a whirlwind schedule! Your cake was exquisite! Rick and I were stunned when we saw the cake being revealed. Truly amazing work! 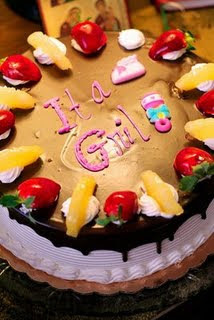 How did you come up with the cake design? You weren’t just designing a cake, you were making a cake for Oprah! MS: My initial design idea was based on words of Oprahs that had inspired me over the years. One of my first memories of her show was hearing her use the phrase “words are powerful”. For whatever reason that had always stuck with me and I’ve been inspired by words in a lot of my designs. It was from that point that I started thinking and it evolved from there. When I’m designing for “Challenge” I like to give myself several days to just think about the possibilities before I even start to sketch- obviously I didn’t have that luxury with this project. Time was the enemy! I honestly designed it mentally while driving (delivering the 10 cakes!). By Saturday night I had a pretty decent idea of what I wanted to do and sat at a friends baby shower sketching as she opened her presents. I had enough of an idea to go on that I started thinking logistically about how I would structure it and that’s where I was getting hung up. I really wanted to have the “O” in the center of the cake spinning- not on top – but in order to do that I needed to design it in such a way that the top could be supported independently from the base. It was while driving back down the coast on Hwy 1 from Half Moon Bay after delivering my last cake on Sunday morning that I had the idea to suspend the top of the cake from the ceiling. I had to wait about 30 minutes before I got back into cell phone range to call the producer to see if that was a possibility. It was in that call that I got my first taste of “nothing is impossible in Oprah’s world”. It was a yes and from that point on everything just kind of fell into place. Sunday afternoon James Roselle arrived to save the day. I had called him on Friday shortly after getting word that it was a go. We actually already had plans to get together Sunday on his way back from Napa where he was heading to do a friends wedding cake for the weekend. I was in panic mode and I honestly don’t recall if I asked or he offered to come help –I think it was somewhere in between! By the time he arrived I just had a pretty rough sketch and threw all of my ideas at him. Thankfully he didn’t think I was completely nuts and totally helped me fill in the blanks over dinner and a couple drinks. From there we headed out to Home Depot and a handful of other stores gathering up our goods. We were up most of the night making lists and finalizing the design. Monday morning we both spend a couple hours on the phone ordering things and dealing with travel arrangements before the producer from Harpo arrived for our pre-show shoot. We spend a few hours with him before James hit the road back to LA to start the flower factory! SR: Wow, I'm exhausted just hearing about it! 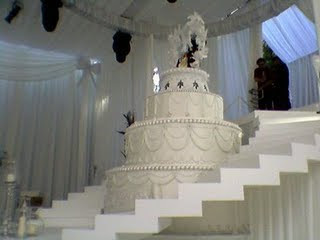 The cake looked like it was 10 feet tall with hundreds of handcrafted flowers. 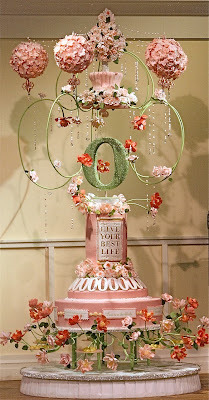 If we were to discuss your Oprah cake “by the numbers”, what would it look like in terms of hours spent, flowers created, and height of the cake? MS: It was 10 feet tall! I had expected it to be about 9 but when all was said and done it did hit the 10 foot mark. The production team actually had to cut down the base they had created for us because the cake was much taller than the wall they had built to go behind it. Originally they had a 24” high base and had to cut it down to 6” to simply get it to fit within the frame. 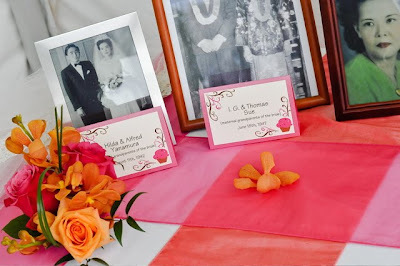 So by the numbers… I’d say there were about 800 handmade flowers, thousands of handmade and hand strung, sugar beads coated in disco dust, & thousands of sugar pearls applied with tweezers as borders and accents. There were several dozen homemade caramel apple truffles on 8 hand crafted “O” shaped plates arranged around the base of the cake along with 50 white chocolate “O”’s that we made from a custom mold and covered in disco dust. There were a dozen “Oprah-isms” on chocolate dough plaques around the base tier. We used close to 100 pounds of fondant and 20 pounds of white chocolate. Well over 200 man-hours went into its creation! SR: Those are some serious numbers. Thank you for sharing that with me. What are the components of your cake that would be well-suited for Oprah and did it extend to the flavor of the cake as well? What flavor was the cake? MS: They ended up not having a tasting component so the cake that you saw on stage was all basic butter vanilla cake (without any filling since it would be more stable that way!) 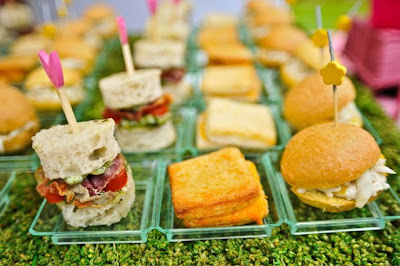 I did however bring some tasting cakes with me and boxed them up for Oprah, her producers and production team. I believe they were the red velvet with toasted pecans and cream cheese and the meyer lemon with lemon mousse and olliaberry. They liked them enough that a producer called me the following week and asked me if I could ship them more tasting boxes to send to the Chicago Bull’s announcer (who announced our intros) as a thank you! SR: We know you had assistance on this fabulous piece of art. Tell us about your team of designers and how did you select them? MS: What you saw on stage was truly a collaborative effort. I simply couldn’t have pulled it off on my own- especially in that amount of time. As I mentioned I had the extraordinary James Roselle, as well as my long time baker, Danielle Clark. Additionally my friend Janelle Paige flew in from LA. We had worked together at Rosebud and she really taught me the cake decorating ropes! My friend and partner from culinary school, Daniel Mangione, made the incredible truffles! He is currently the pastry chef at the Ritz Carlton Half Moon Bay. He made lots of extras which was perfect since I got to use them as currency with the production team! It’s amazing what people will do for chocolate! Before getting to Chicago I had so many friends helping me out… Jodee & Dave, Bonnie & Steve, Marie & John. And then there were a few ladies (some that I barely even knew!) who chipped in and made countless sugar beads for me… Julie, Jamie and Diane. My sister Ronda and Aunt Carolyn both flew to Chicago to be in the audience along with my good friends, Michelle & Jim. They were all put to work upon their arrival. Ronda spent 15 hours at the studio with us stringing beads! I’d be remiss if I didn’t mention the absolutely fantastic, above and beyond wonderful production team at Harpo Studios. Literally every single person we encountered was AMAZING! They don’t know the meaning of the word no – everything I even thought about needing was done before I had to ask. It was truly a “production Disneyland”. Our producer, Kayla, rocked!!! She even brought us ice cream at 1am when James was ready to crash. The backstage experience alone was worth the trip! Truly an extraordinary team. SR: What a support system. That is an A-Team if I ever heard one! [ If there is anyone out there who didn’t see Marina on The Oprah Show, the audience was asked to cast a vote for their favorite of 3 cakes. ] 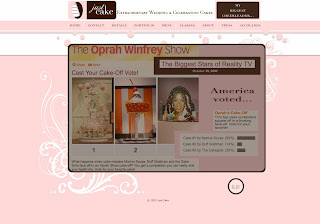 We know Chicago’s own Cakegirls won the audience vote, but you won the Cake-Off vote on Oprah’s website and if I’m not mistaken, by a pretty large margin. This is some serious bragging rights. Congratulations! MS: Thank you! I knew going into it that the Cakegirls would have the “home court advantage”. 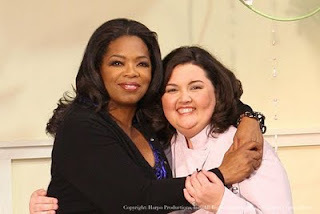 I seriously didn’t even go into this with the competition aspect in my mind at all, it was simply about being on Oprah!!! Although the audience vote was remarkably close, a Chicago themed cake for a Chicago audience was a smart move on their part that paid off as anticipated. Tomorrow we will share Part 2 of my interview with Marina where we discuss her experiences on Challenge, some of her favorite cakes in her Just Cake career, cake classes, and who she names as some of her favorite designers. 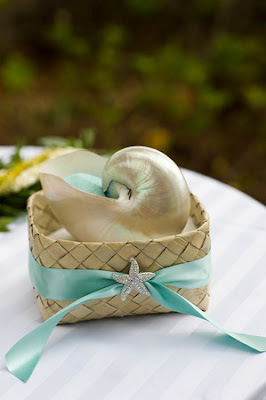 Until then, check out Just Cake's amazing portfolio on their website. If you enjoyed this interview, we encourage you to leave comments here for Marina. Rick and I appreciate very much the time she took from her busy schedule to share her experiences and insights with us!